NEW CASTLE, IN, February 11, 2019: Citizens State Bank is pleased to announce S. Scott Fitzsimmons has joined our Carmel Banking Center as Vice President – Commercial Relationship Manager. Scott has almost 20 years of experience with business clients with revenues from $1MM - $400MM. 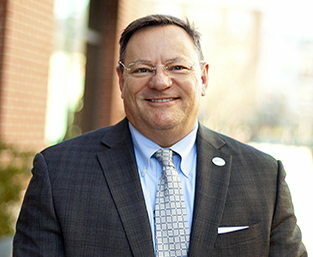 Scott lives the Bank’s mission of helping our communities succeed by serving on the Executive Board for Global Citizens Empowerment, which strives to build globally competent local communities across the United States. Citizens State Bank is a fourth-generation family-owned community bank and has offered a full range of financial services in central Indiana since 1873. Our mission is to help our clients, co-workers, and communities succeed. Decisions are made locally. Deposits made with us stay in our communities, becoming funds for the loans and donations that fuel economic development. Discover the difference a local bank can make. To learn more, stop by one of 13 banking center locations, call 888-529-5450, or visit www.myCSBin.com.